Join us for an ATV Safety Class! W.303 Hwy 33 which is on the Washington/ Dodge county line. For more ATV Information including licensing & regulations, click here. 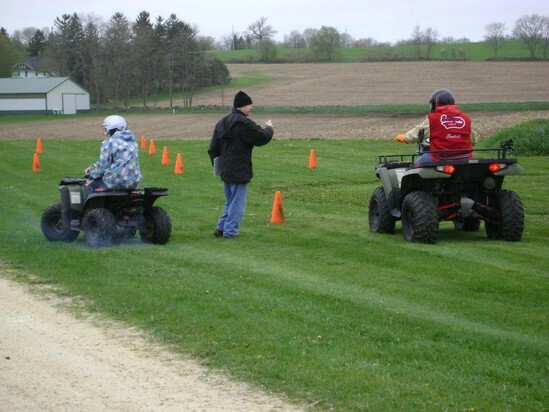 Operators born on or after Jan. 1, 1988 who are at least 12 years old for ATV(and at least 16 years old for UTV) must complete an ATV and UTV safety certification course in order to operate on public ATV/UTV trails and areas in Wisconsin. another vehicle could hit you. ATVs are designed to be operated off-highway. ATV specifically designed for two people. 8. Take a hands-on ATV Rider Course.